Football Player; Hailing from Edinburgh Dave was signed by Hearts in 1952 after Hibernian manager Hugh Shaw had offered him a trial at Easter Road. An exceptional player, aggressive, determined and blessed with skill MacKay quickly established himself as a star player at Tynecastle. He led Hearts to glory winning the Scottish Cup in 1956, the Scottish League in 1958, and the Scottish League Cup in 1954 and 1958. 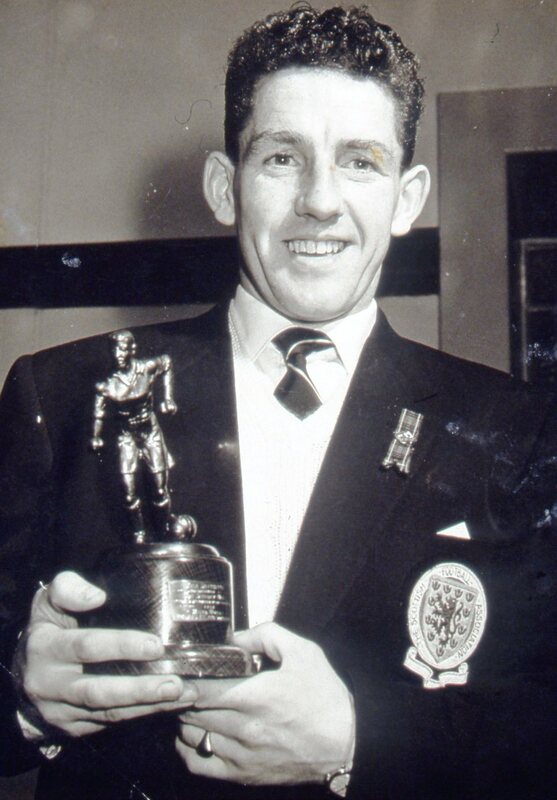 MacKay’s performances brought interest from Tottenham Hotspur and Bill Nicholson secured his services in 1959. Dave was a key player in Tottenham’s double winning year and he also enjoyed success in Europe winning the European Cup Winners Cup in 1963. With ‘Spurs’ MacKay won the League in 1961 and the FA Cup in 1961, 1962 and 1967. Dave was voted Scottish Player of the Year in 1958 and joint Football Writers Player of the Year in 1969. He was capped 22 times for Scotland and would have won more honours had injury not interfered with his career. His determination as a player is best summed up by the fact that he successfully recovered from a broken leg twice. As his career began to wind down MacKay moved to Derby County winning the Second Division title in 1969. He also enjoyed a career in football management winning the First Division with Derby in 1975.